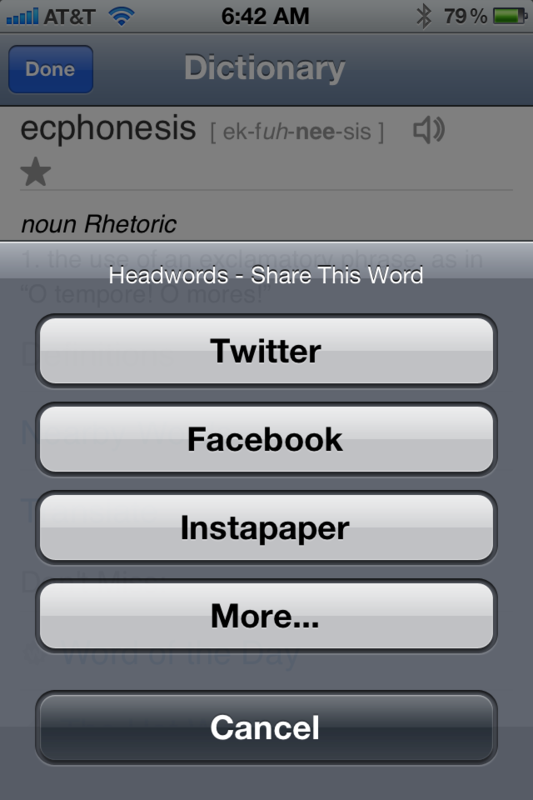 Headwords is the only app for word lovers and students that searches up to 15 English dictionaries! Are you studying English vocabulary? You can use the built-in flashcards to quiz yourself on words added to your favorites list! Please note: Headwords requires an internet connection. - Up to 15 different dictionaries searched simultaneously for any English word. - Audio pronunciations for thousands of words. - Integrated Word of the Day. - Share definitions online via Facebook, Twitter, Tumblr, or Delicious. 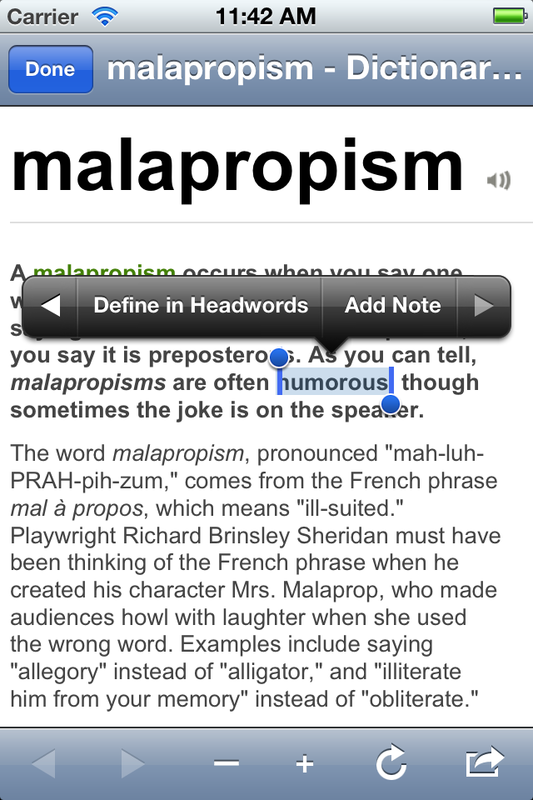 - Save definitions to study later with Instapaper, Readability, or Pocket. 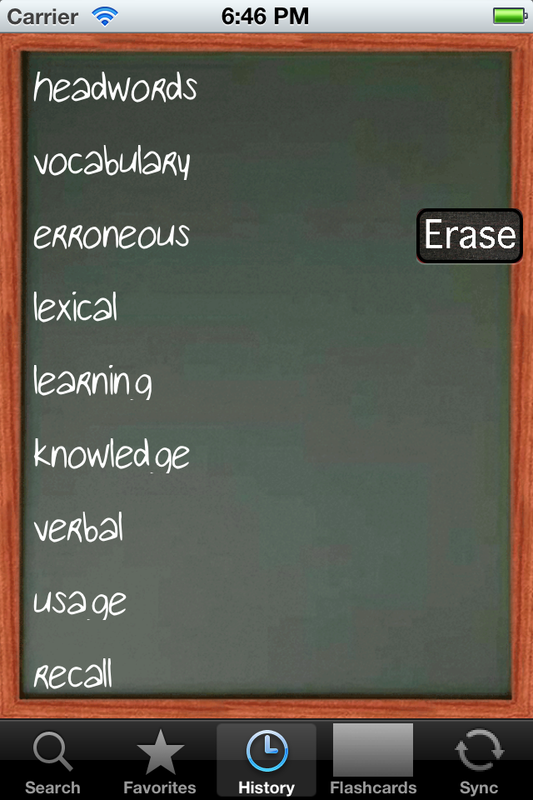 - Study words that interest you with built-in flashcards! - Automatically maintains a history list of all the words for which you've searched. - Add words to your favorites list. - Convenient + and - buttons to adjust the font size while reading dictionary entries. One of the best ways to know how a word is properly used is to see multiple definitions and usage examples. That's what Headwords was designed to do: help you explore and build your English vocabulary to new levels. Look for more features and enhancements soon! A universal version of Headwords (iPhone/iPad version in one app) is in development. - Headwords is now a universal app so that you can enjoy it on your iPhone and iPad. - Add and edit notes on words on your favorites list. Keep examples of sample sentences, memory aids, etc. - Notes that you've added show up in the flashcard answers. - Share entire favorites lists with notes between devices! Keep them in sync more easily. - Added several dictionaries. Headwords now provides definitions from up to ** 20 ** sources! - Added ability to search all dictionaries directly from a flashcard entry. - Define within Headwords a word selected within the internal browser. - Add the text selected within the internal browser to the current word's notes. - Various minor enhancements and bug fixes.